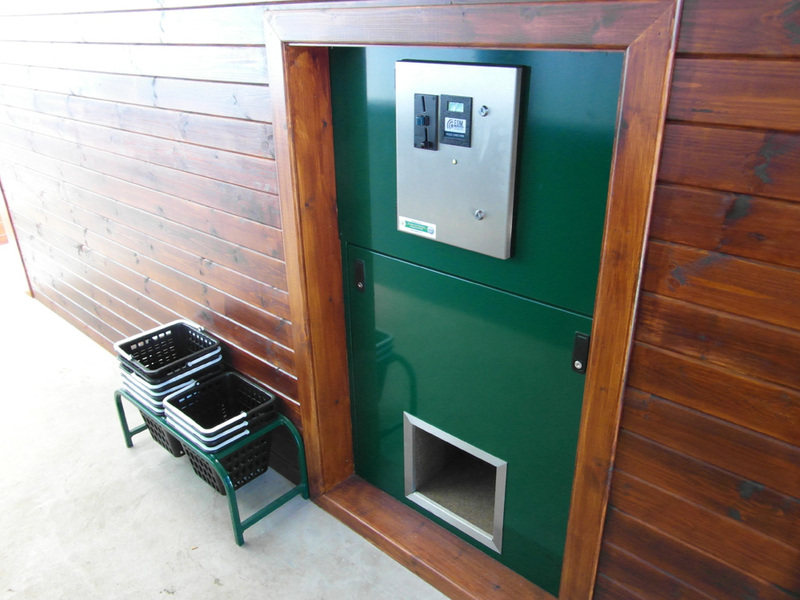 The Range Master 'Standard’ Series golf ball Dispensers, remains a very popular and cost effective solution for the modern Club of range, with capacities of 6, 8 , 11,000 or 20,000 balls. 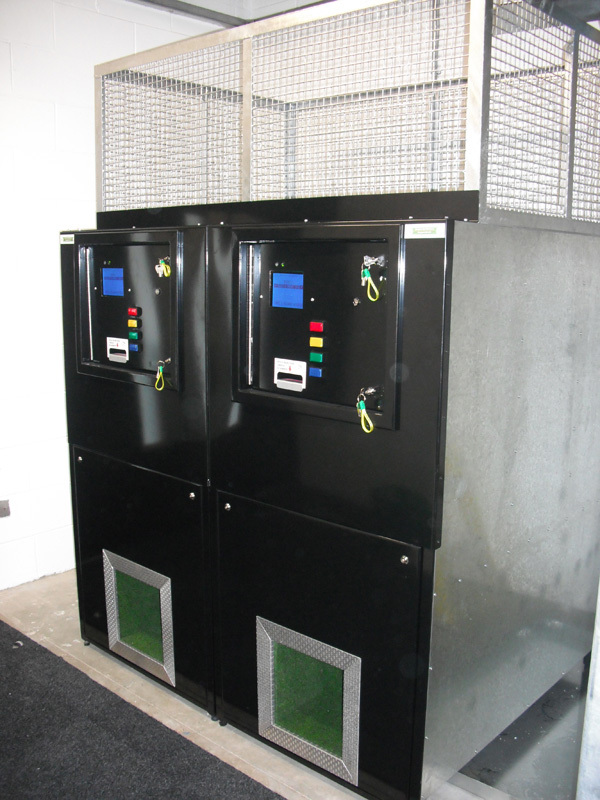 Larger capacity units with dual vend points can contain up to 30,000 balls. 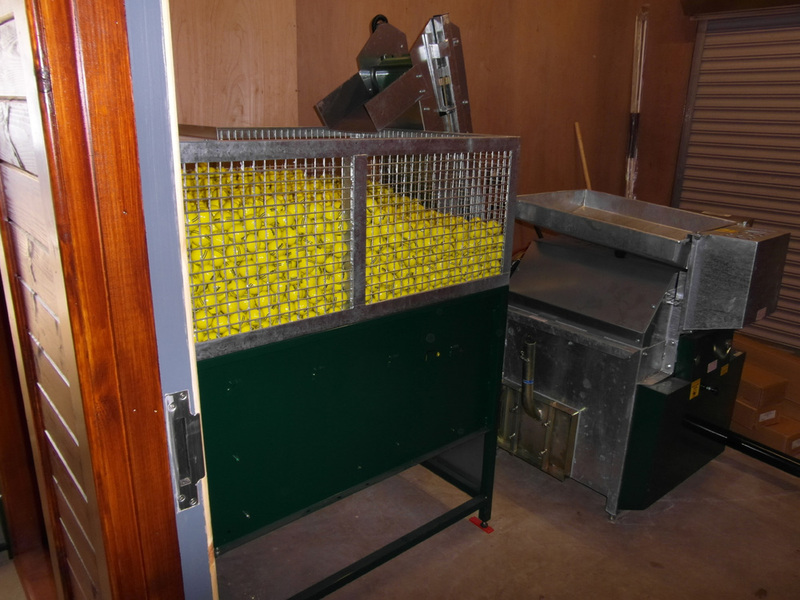 These dispensers incorporate ‘Tipping Tray’ ball delivery technology, allowing vend multiples of between 15 and 30 balls, for example you could have basket sizes of 25, 50, 75 and 100 balls. 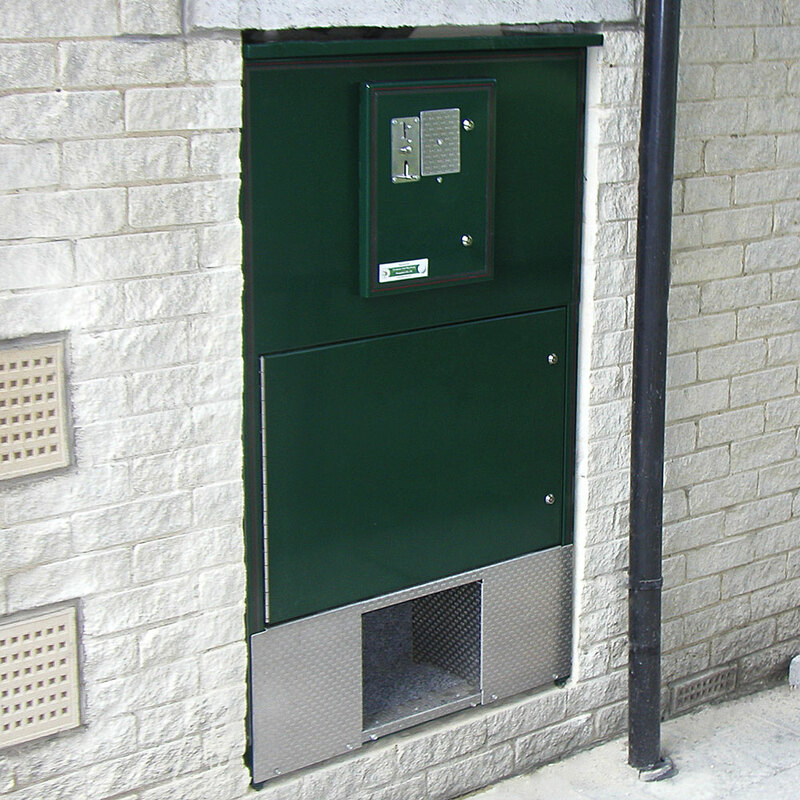 The framework and front panels are powder coated Moss Green, but the customer can choose a different colour if requested. 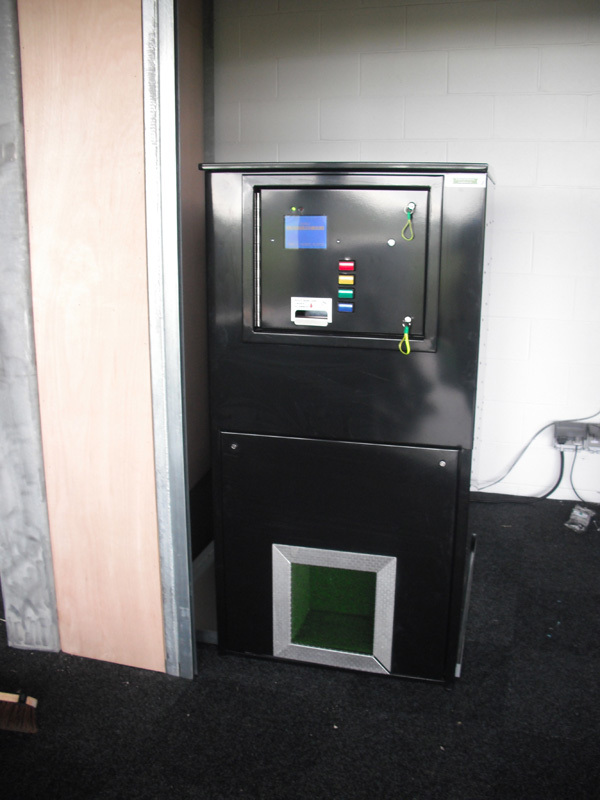 The electronic controller, which is also built in-house is 12v DC, as are all the motors and ancillaries. A 240v/12v power supply is used to power up the machines with an option to run on a 12v battery in remote locations. 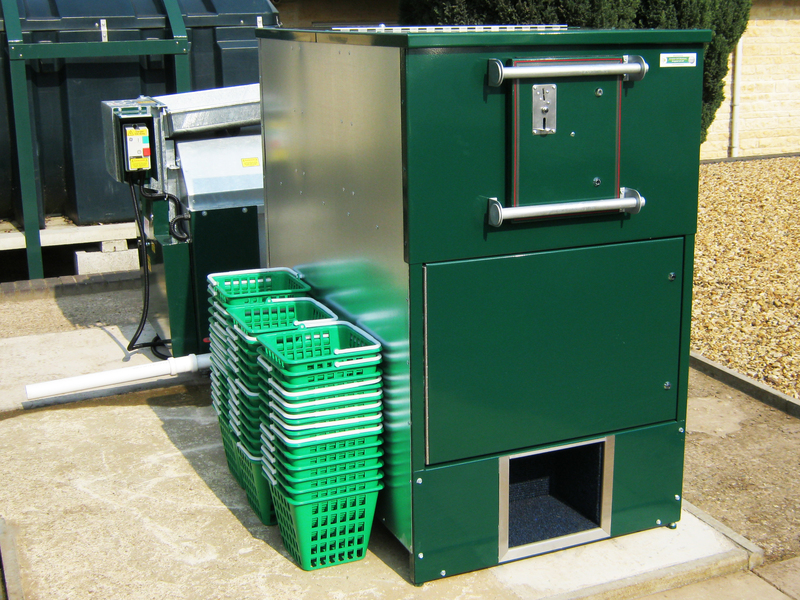 Up to four baskets sizes are possible with the series using tokens. 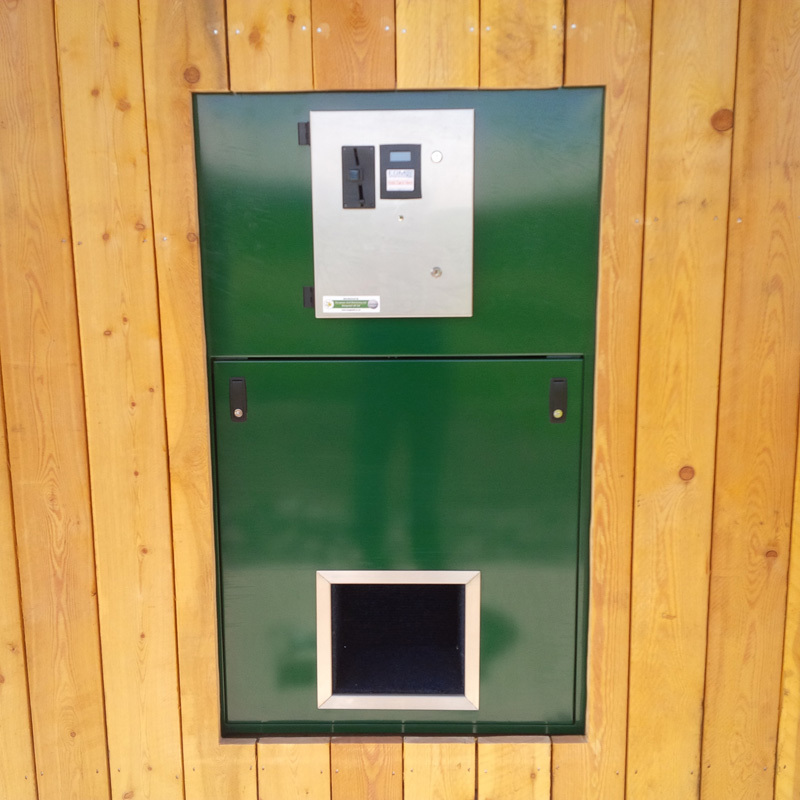 A cash vend can also be added. 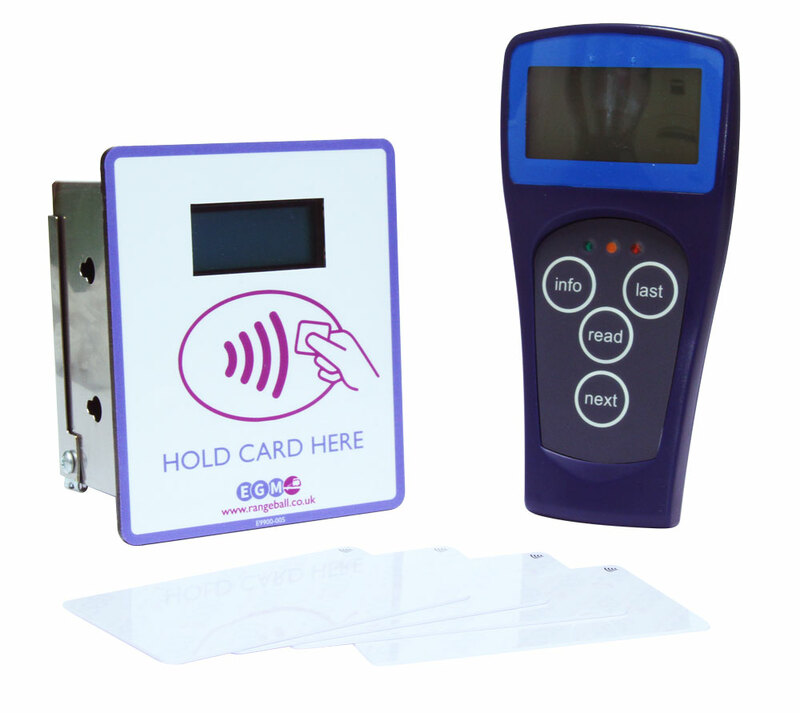 Our RFID contactless Member Card payment system is available as an option on all of the dispensers. 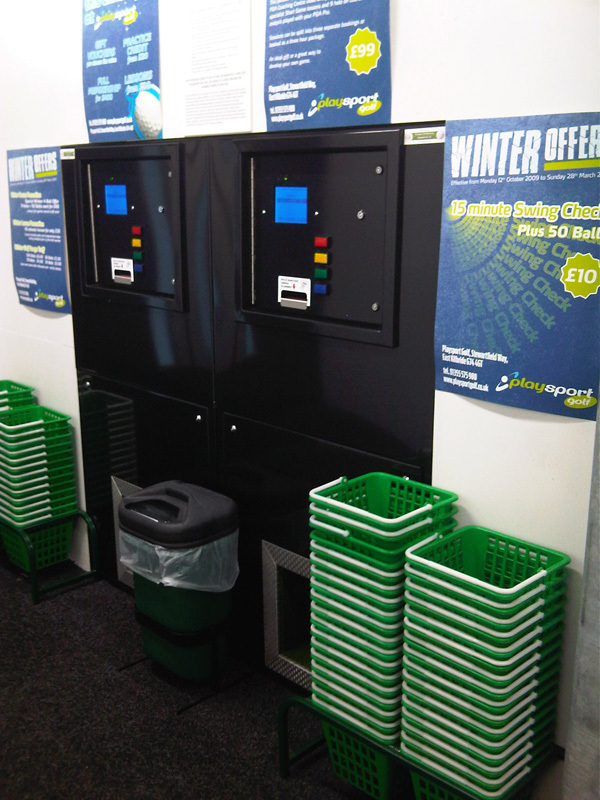 Additionally, Credit Cards and Apple Pay can be used to purchase balls with the addition of the Nayax unit.